Whether potted plants are indoors or outdoors, you must give them proper care if you want them to stay healthy and attractive. 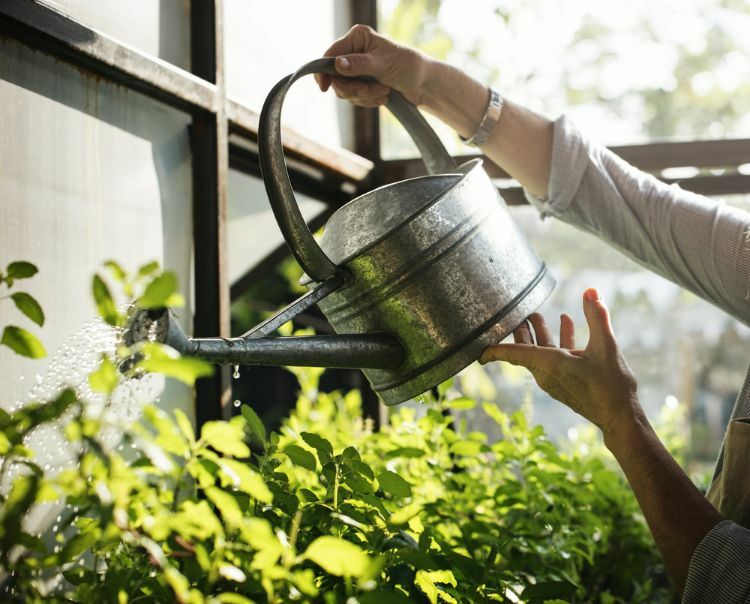 If you’re like most gardeners, you invest your time and money in plants, containers, soil and fertilizer, and you don’t want to see plants turn yellow and wilted simply because you didn’t use the proper procedures to ensure their good health. 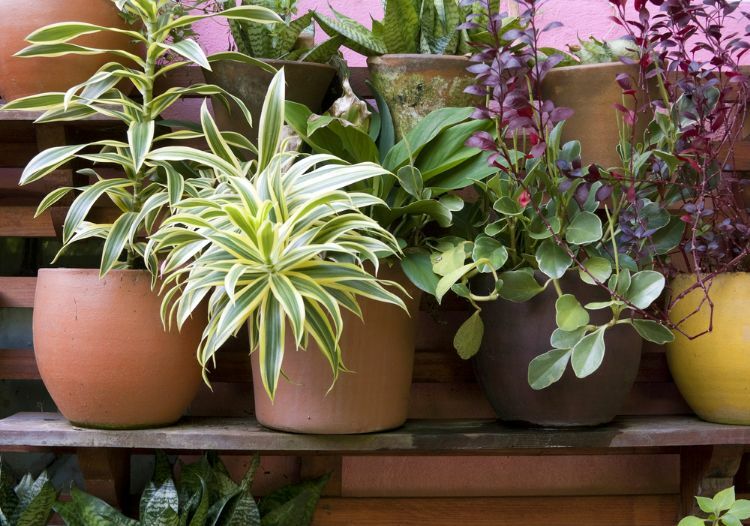 Below are seven steps anyone – even those without that proverbial green thumb – can take to prevent potted plants from turning droopy and sad-looking by midseason. It’s all about starting off on the right foot and setting the stage for a full season of growing beautiful planters. A pot that drains well (one or more holes in the bottom) is essential if you don’t want the plant to die from drowned roots. Containers made of plastic, fiberglass or resin work well. That’s because they are nonporous and don’t absorb much moisture, leaving more for the plant. All other choices depend on your style and budget. 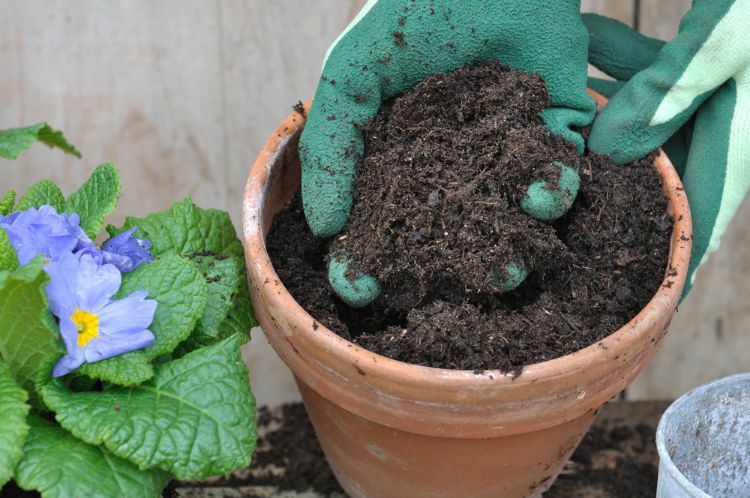 Buy potting soil from a garden center. It will probably be a mixture of peat moss, vermiculite and decomposed organic matter. It’s okay if the mixture already contains time-release fertilizer and polymer crystals to retain moisture. If you can’t find a mixture that includes them, buy those items separately. Do not use soil from the garden! It likely contains weed seeds, insects and fungal diseases. Find a location with good light, but keep plants away from heat vents, air conditioners, radiators and televisions. South-facing windows provide the most light, whereas those facing east or west can provide moderate sunlight. Keep the plant out of high-traffic areas so kids and pets won't knock it over. After you plant in the spring, you should water about once a week. When summer arrives and hot weather evaporates the moisture more quickly, you should water daily. Keep in mind that plants need more water as they grow larger. Water them until the water comes out of the drainage holes. And be careful to water only the soil; wetting the leaves and flowers can result in fungus and scorched spots. 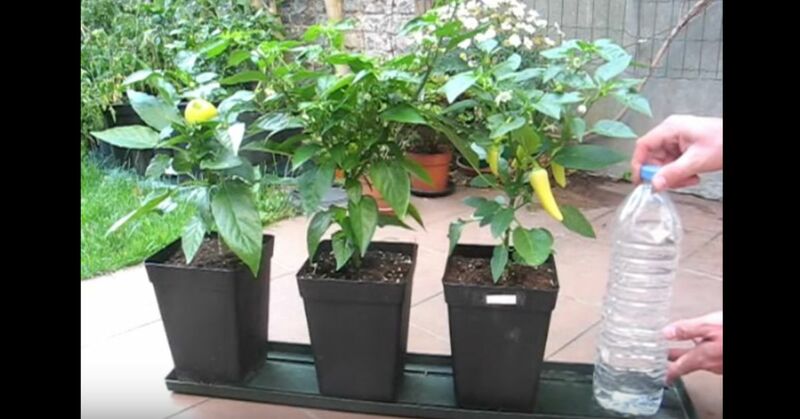 Plants grown in containers need more fertilizer than those in the ground. As you water, nutrients flush out of the soil. 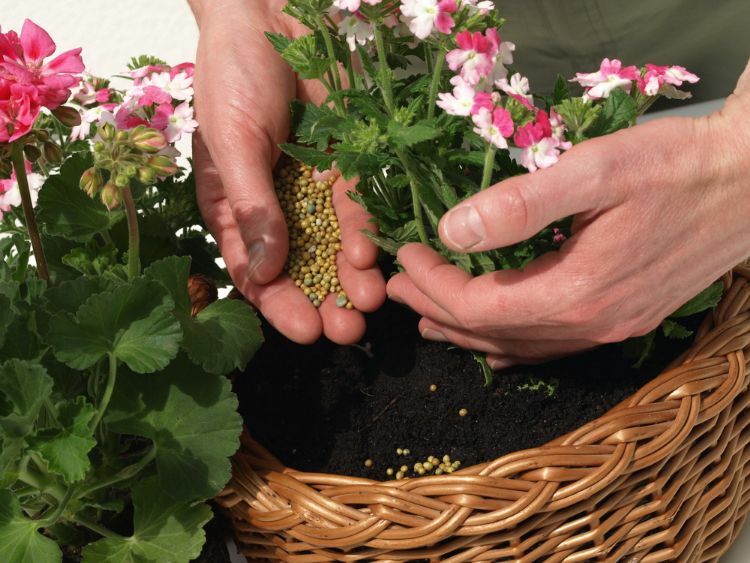 Therefore, you should feed plants a liquid or water-soluble fertilizer about every two weeks. If you want the happiest and healthiest plants, choose a fertilizer based on the plant species and its stage of growth. Pinching or cutting off faded blooms encourages a plant to keep producing more flowers. 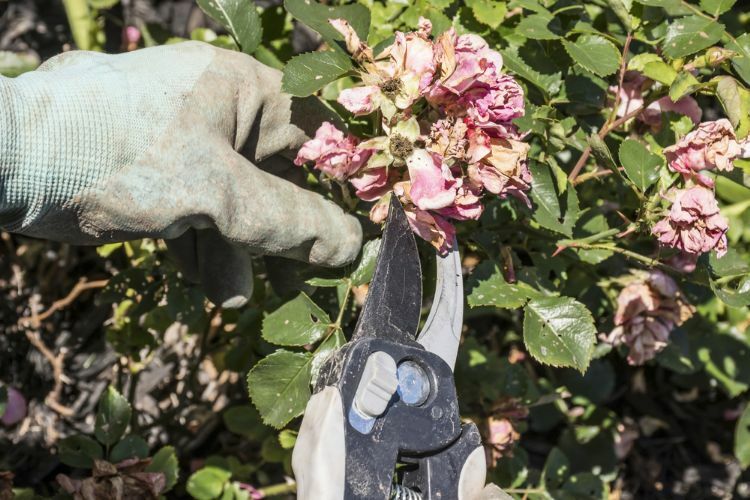 This chore, known as deadheading, is not necessary for all plant species. Some prolific bloomers shrivel up on their own and just seem to disappear. For other plants with too many tiny flowers to pinch off, cut the plant back to a third of its size. It will look scalped for about a week and then recover with new buds and blooms. 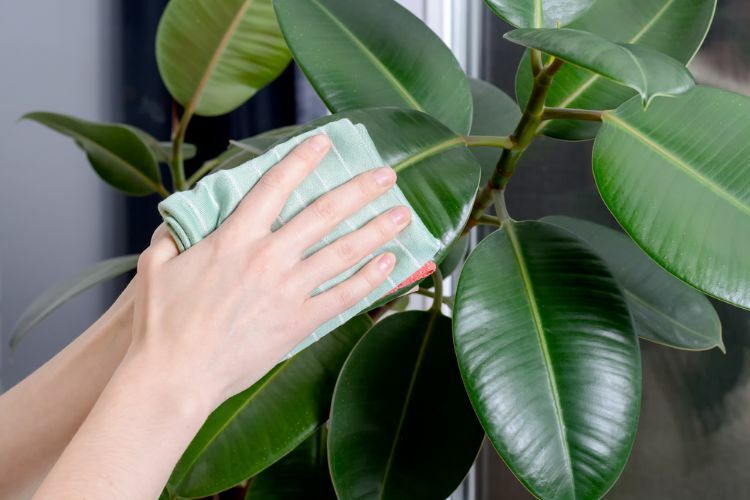 Indoor plants can become sickly looking because of dust buildup and insect pest infections. You can better prevent these issues by cleaning plants with a soft rag and an organic insecticide soap every few months. 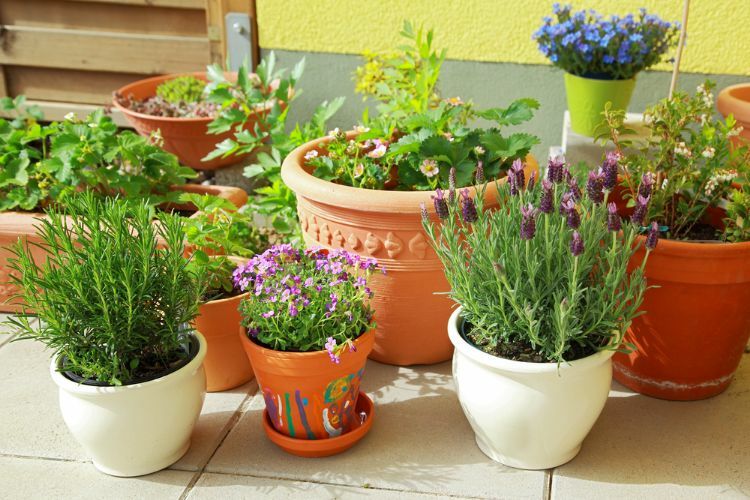 Use the same insecticide to keep outdoor plants pest-free and healthy.